Available exclusively from Black Rhino Performance. Introducing the all new Stage II Rhino CDI module. The Black Rhino CDI eliminates the stock Rhino CDI’s speed limiter, raises the stock rev limiter from 6800 to 7800 (well within the engine’s safety range), and eliminates the reverse rev limiter. 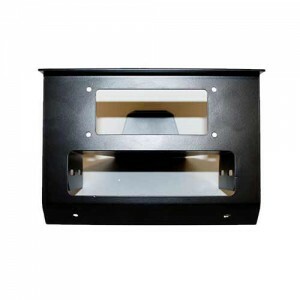 It is completely compatible with the stock Rhino panel lights, as well as the Yamaha Rhino Digital Dash. This is a plug-in replacement for the Rhino factory CDI. While results vary between vehicles, top end speed is typically increased by 25%. This CDI also provides increased spark energy which makes for easier starting and improved throttle response. Looking for ‘bang for the buck’ in performance parts? Nothing comes close to the BRP Performance CDI! 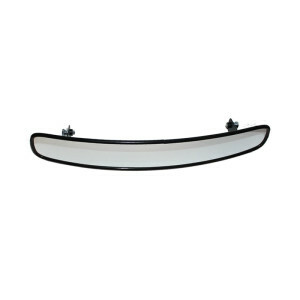 SEE FULL PRODUCT DETAILS BELOW! Available exclusively from Black Rhino Performance. Introducing the all new Stage II Rhino CDI module. 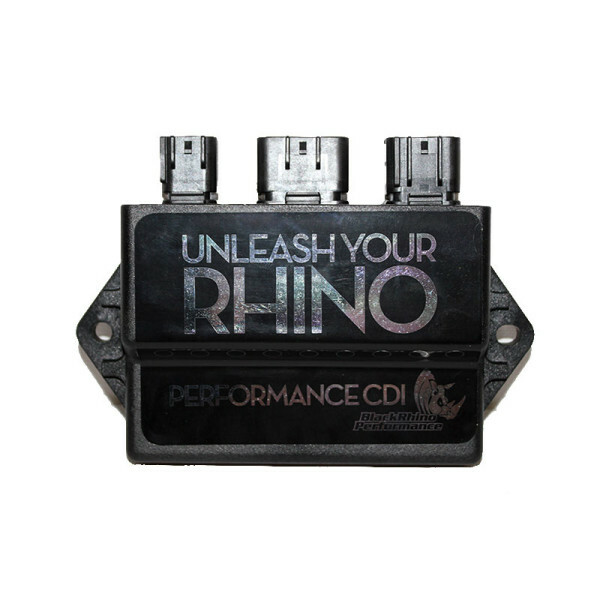 The Black Rhino CDI eliminates the stock Rhino CDI’s speed limiter, raises the stock rev limiter from 6800 to 7800 (well within the engine’s safety range), and eliminates the reverse rev limiter. It is completely compatible with the stock Rhino panel lights, as well as the Yamaha Rhino Digital Dash. This is a plug-in replacement for the Rhino factory CDI. While results vary between vehicles, top end speed is typically increased by 25%. 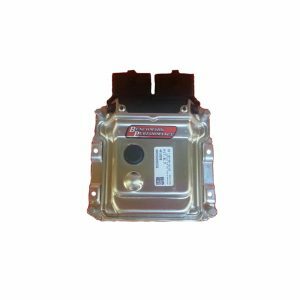 This CDI also provides increased spark energy which makes for easier starting and improved throttle response. Looking for ‘bang for the buck’ in performance parts? Nothing comes close to the BRP Performance CDI! The Black Rhino Performance billet folding whip mounts are not only affordable but is also a convenient option for vehicle transportation. Each mount has a removable slide pin that makes collapsing your whip easy! 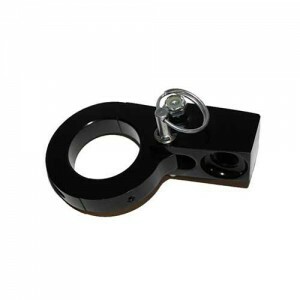 Made of billet aluminum and powder coated black, these mounts are available in 1.5" and 1.75" tube diameters.